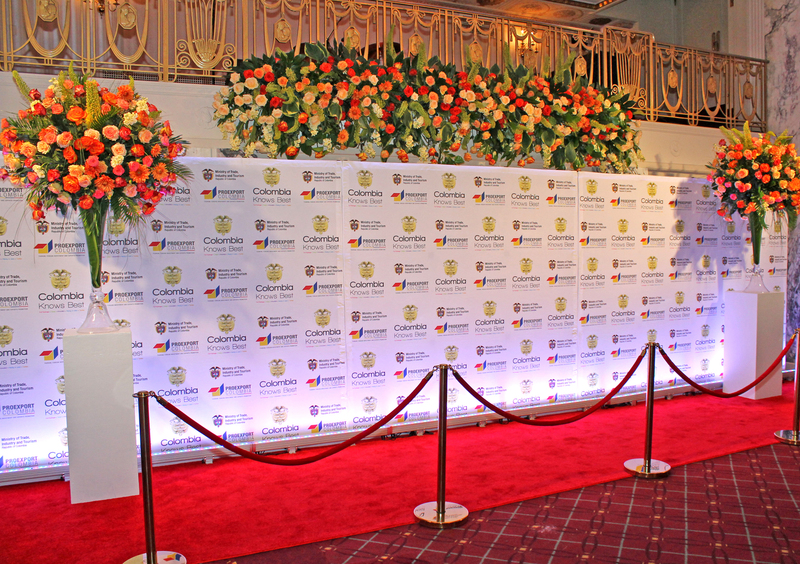 A backwall for your booth, a press wall for your event photos, or a stage backdrop! Most of our walls have multiple options that may not be shown here, so please call us for more information. We can add monitor mounts, stand off shelves and literature racks, and design unlimited possibilites to make your back wall anything but flat! The term 'step and repeat' refers to the pattern of the logos, usually event sponsors, on the backwall. 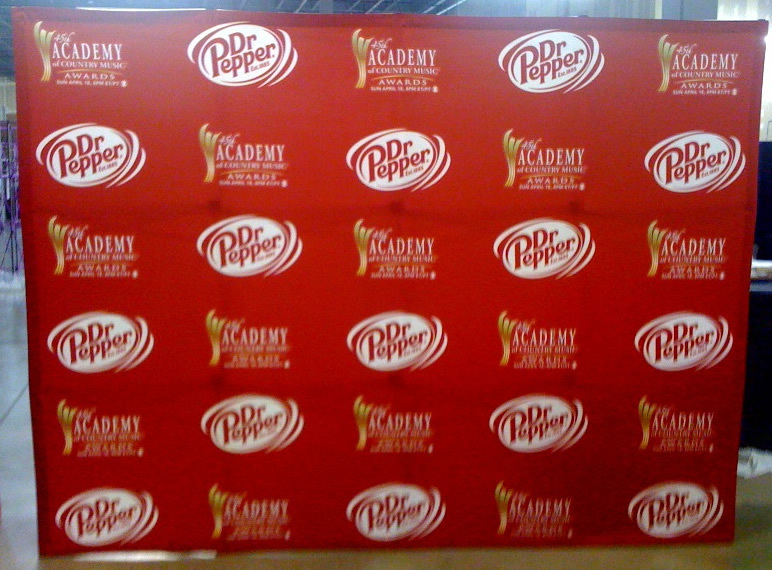 The logos step down the design and repeat across the graphic - Step and Repeat! 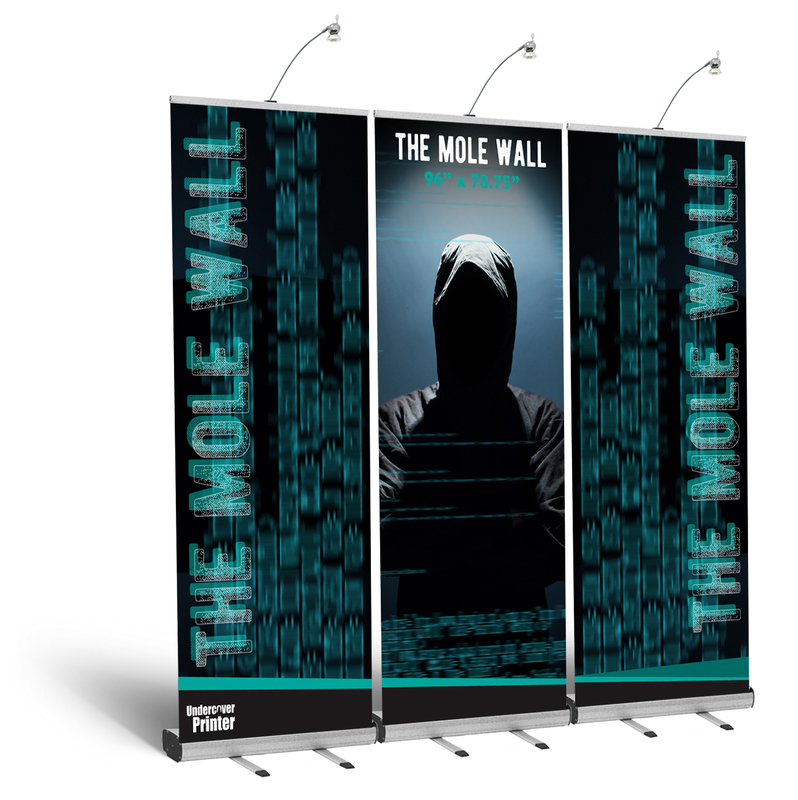 Nothing grabs attention better than a well designed trade show space and the best way to get started is with a full height back wall that will anchor your booth. 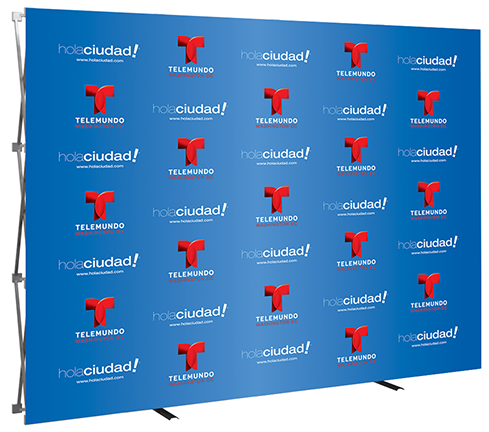 We offer several lines of 8ft, 10ft, 20ft (and larger) backwall-style displays that can grow with you company and your trade show budget! 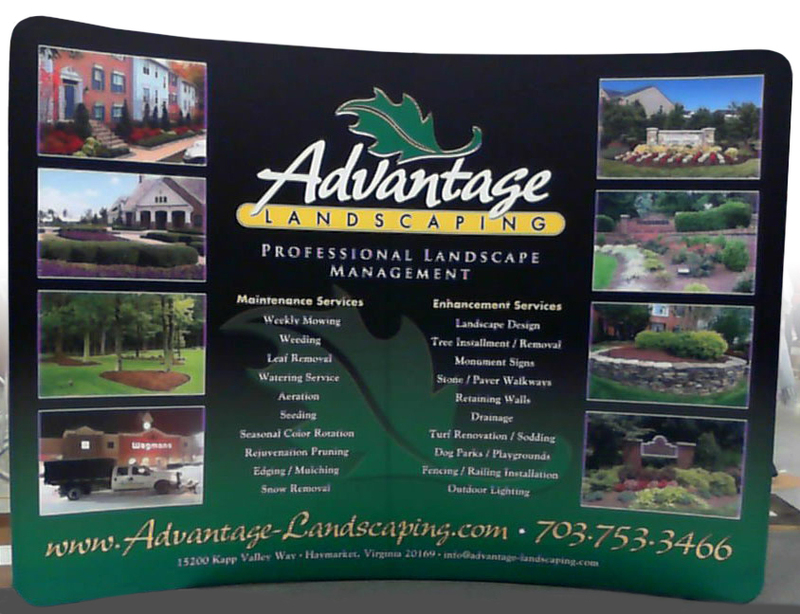 Our BackUp Pro line has hundreds of options to add on and change up the look of your display - the sky's the limit! Affordable options for your 'last minute, low budget, need something to take pics in front of' backwall. 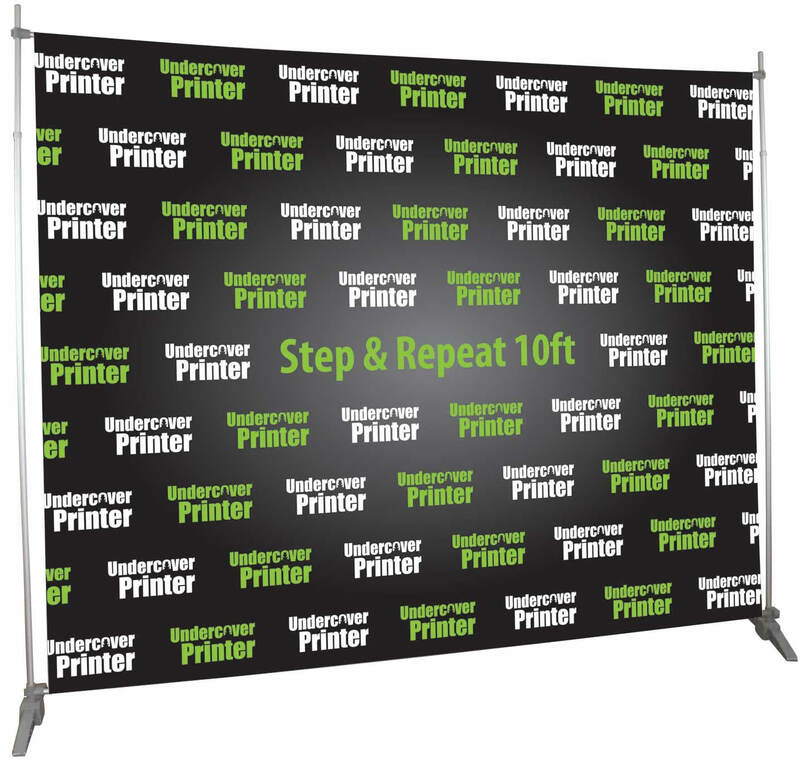 Features areusable expandable pole frame and full color printed 13 ml vinyl banner with your event sponsors logos in a step and repeat pattern. Additional design charges may apply. Order and art received by 10am will deliver in 3 business days or less! 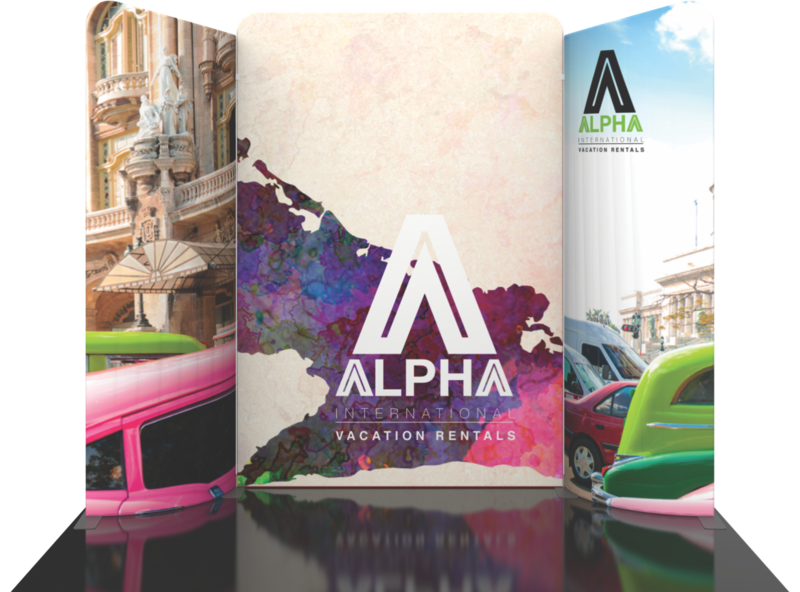 Aluminum frame covered in full-color dye sublimated stretch cotton...won't cause photo glare and has a polished, professional look. Available in 8', 10', 12', 15', 20' and larger. Comes complete with graphic attached to the frame and soft rolling case. *Note your order MUST be ready for print by 10 am to be considered in that day's business. 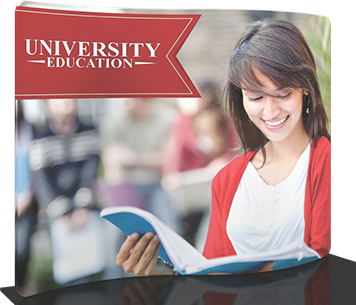 Any design edits or delays in approval of proofs must be completed (either by you or our team) in order to be considered "print ready." Polished & Professional while remaining Easy-to-Assemble and Lightweight! 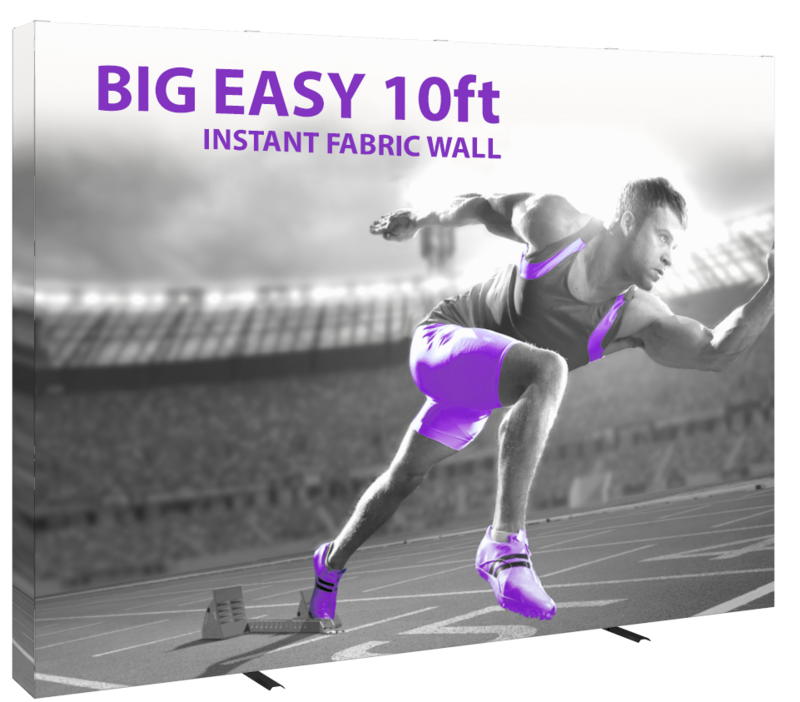 NEW LOWER PRICES ON FABRIC BACKWALLS! the most flexible back wall option! 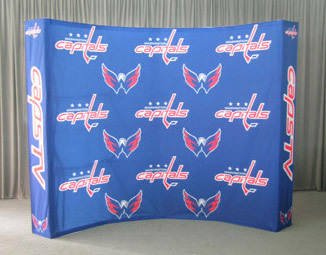 Lightweight pole frame covered in a full-color dye sublimated stretch cotton "pillow case" graphic. Comes complete with graphic and hard shipping case(s). 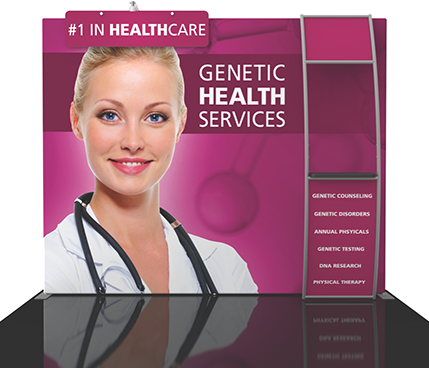 Design services and templates are available to help you get the most out of your booth. • Add lit rack, monitor mount or tables for an exceptional wall! NEW LOWER PRICES as low as $692! Available in Straight, Curve and S-Curve Options! Complete kit comes out of the box with graphic already attached! 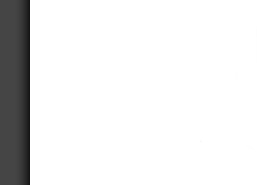 Just pop it up and get your event started! • Choose between 8', 10', 12', 15', 20' or larger! 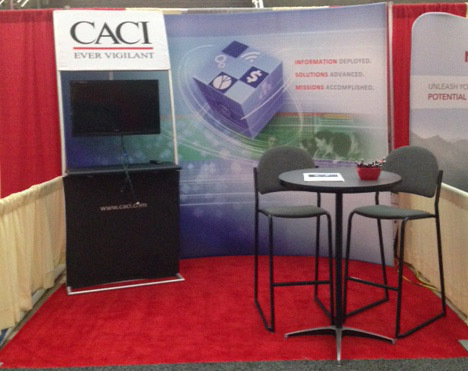 Use stands together for an easy-up banner backwall, or individually for smaller shows. 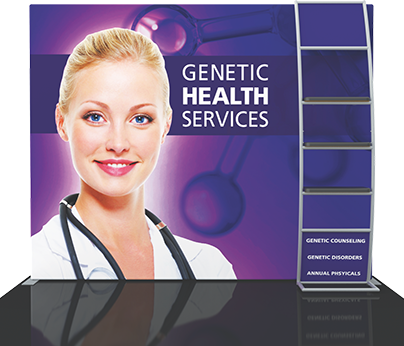 Please call 888-353-4035 for product information and pricing. 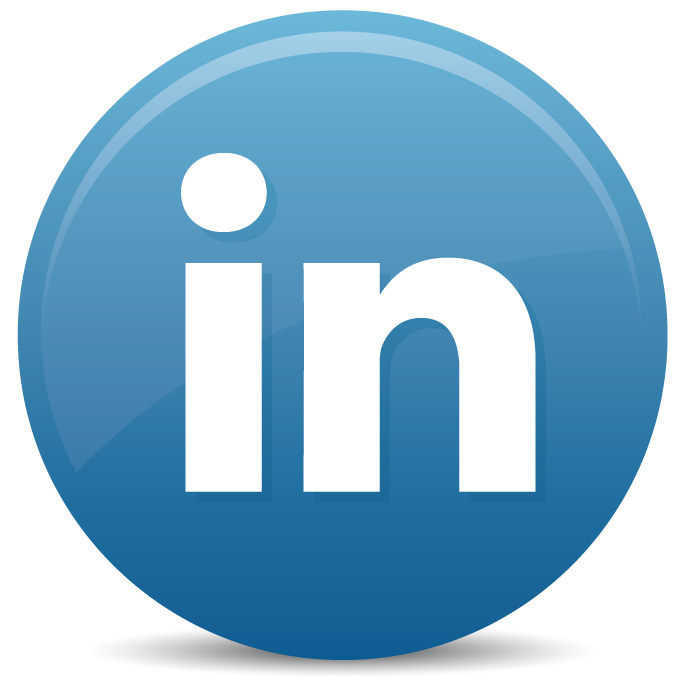 Or email Support@UndercoverPrinter.com for more information.